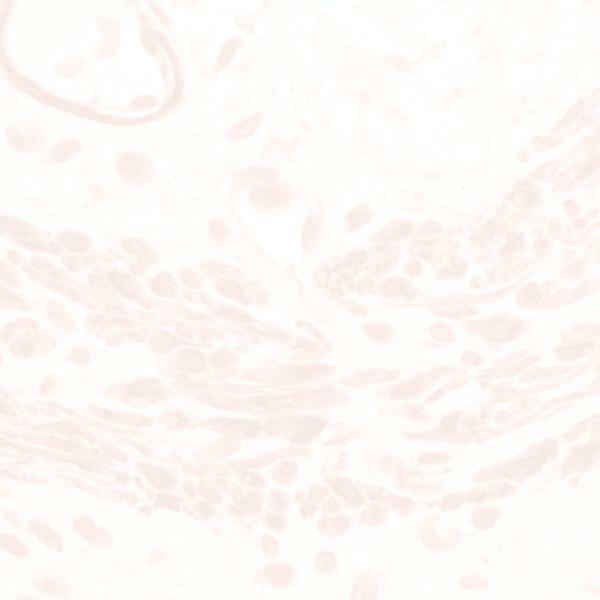 This antibody detects BCA-225 a glycoprotein (MW 225-250kD) secreted by the T47D breast carcinoma cell line. Strong intracytoplasmic staining is seen in primary and metastatic breast carcinoma tissue, as well as in cervical carcinomas. Apical/glycocalyx staining is seen in normal kidney, lung, fallopian tube, liver, skin, (eccrine sweat glands) and uterus. Similar staining patterns are observed in lung, ovarian, and endometrial cancers. Carcinomas of the colon, stomach, prostate, urinary bladder, liver, pancreas, thyroid, and parotid are negative, as are sarcomas and lymphoid cancers.